Earlier this month, Campbellsville University in Kentucky informed one of the professors in its theology department that his contract would not be renewed going forward. This notification would in effect make any application for tenure needless. While this decision was made by the trustees of the university, it no doubt reflected the input of the administration of the school. The professor, Dr. Jarvis Williams is a 5 point Calvinist. He was a key note speaker at the Desiring God National Conference in 2012, a movement spearheaded by John Piper. While the school and its officials are not at liberty to disclose pertinent information with respect to the reasons behind their decision, it is apparent that those on the outside can and have. Criticism has been leveled and public statements made revealing the disappointment of some over this trustee decision pointing to Dr. Williams’ theological position as the reason for his dismissal. Campbellsville University is affiliated with the Kentucky Baptist Convention and has a long history of support from the KBC. Last week, Dr. Paul Chitwood, Executive Director of the Kentucky Baptist Convention announced his intention to lead a delegation from the KBC to visit with the leadership at Campbellsville to have an “open and honest dialogue. The purpose of this undertaking is to better understand the theological convictions that chart CU’s course and whether or not those convictions are still compatible with the mission our Lord has given the churches of the Kentucky Baptist Convention.” Dr. Chitwood acknowledges the KBC’s financial contribution indicating that one million dollars is given in support of the university annually. What Dr. Chitwood does not say is that while the money is given to the school, most of the money is given to students in the form of scholarships and discounts who are associated with KBC churches enrolled at CU. The scholarship and discount total that CU provides Kentucky Baptist students exceeds the KBC contribution by several million dollars. Dr. Chitwood acknowledges the tenuous relationship that exists between all Southern Baptist conventions and their liberal arts schools. He writes, “Higher education, by its very nature, requires the kind of academic freedom and exploration that is sometimes difficult to envision being funded by mission’s offerings. But if academic freedom is no longer afforded to those who hold to “the faith once delivered to the saints” (Jude 1:3) and teach a high view of Scripture (2Tim 3:16), the time for church support has clearly passed. Campbellsville is a liberal arts university with courses in mathematics, sciences, languages, nursing, criminal justice, accounting, computer sciences, the arts, education, sports management, journalism and theater to highlight some of the courses offered in addition to those in its theology department. CU is ranked #74 in the 2013 US News’s ranking of Universities in the South. The university has 144 professors serving 3071 students apparently very well. Are there professors among this group that do not believe in the infallibity of the Bible; probably. Are there professors in this group that believe in evolution; probably. Is Campbellsville University an institution that the KBC can be proud of; absolutely. Dr. Chitwood does caution rushing to judgment and rash decisions and emphasizes the continued importance of supporting the Cooperative Program. Dr. Chitwood’s statement can be read in its entirety at http://www.paulchitwood.com/2013/04/20/campbellsville-university-and-the-churches-of-the-kentucky-baptist-convention/. This week, Dr. Jason Allen, President of Midwestern Baptist Theological Seminary in Kansas City, Missouri decided to weigh in on the situation as well. He too praises the KBC for its proactive, innovative work with the churches and speaks highly of its leadership, stating that he believes “the KBC has proven to be a model state convention in their collective witness for Christ and collaborative ministry efforts.” Allen acknowledges and applauds Chitwood’s announcement to meet with the university in an effort to “assess the ongoing compatibility of the two entities.” Obviously the only “ongoing compatibility” between the two entities is related to the continued financial support the convention gives to the university. Allen acknowledges a couple reasons that contracts with teachers are not renewed. He admits that he is not privy to the trustee’s decision in this particular case. He also fails to acknowledge there are many other reasons a contract may not be renewed. It is clear that Allen does not see this issue as being an insignificant one, especially where Kentucky Baptists are concerned. He goes on to list what he identifies as five considerations must be kept in mind not by the KBC delegation but by the university representatives. Notice Allen’s first consideration: “First, when representatives of the KBC meet with representatives of Campbellsville University, they do not come to the table as negotiating equals. The former has funded, governs, and holds accountable the latter by approving their trustees. The posture of both should be one of openness and respect, but the KBC is not the supplicant.” In layman’s terms, what Allen has said is this: of the two groups meeting, the KBC is the one that has all the clout. The KBC is “not the supplicant;” they are not the ones coming to this meeting as a petitioner or humbly seeking an explanation. Allen says, the KBC does not come to the table as “negotiating equals.” Allen’s position in this article is clear; it is not the representatives of Campbellsville University that need to explain where they stand; it is the KBC that needs to explain where they stand and CU needs to listen and take note. This is an interesting perspective indeed. If this position were to be adopted and employed by other state conventions and the SBC with respect to the various entities that are charged with the task of serving the churches of those various conventions as Allen suggests here, there would no doubt be serious cries from the leadership of several of the entities. Dr. Allen makes a very critical mistake in his reference to Campbellsville University; He suggests that CU is a “church governed entity.” That statement is simply not even close to being true. The entities of the SBC as well as those in the various the state convention, are controlled by their trustees and not the conventions, much less the churches that send messengers to the various conventions. Consider the following example. In 2011 the messengers of the Southern Baptist Convention voted in favor of a resolution instructing Lifeway to remove the 2011 New International Version of the Bible from its shelves. In February of 2012 the trustees of Lifeway later reviewed the issues and voted unanimously to keep it. That is what Lifeway did. That move sent a clear message to the convention and to the churches for that matter, that the entities are trustee governed and not convention governed nor are they church governed and as such the trustees can and continue to do what they believe to be in the best interest of the institutions they are charged to serve. The same is true of CU. Allen’s initial statement in his fifth consideration should be one to remember. He states “every institution in one way or another serves or is accountable to the church, be it a seminary or a state college, should assume a posture of deference and welcomed accountability.” This is the way things ought to be but sadly that is not the case today, either. Take this issue at CU. The outrage and the criticism that has been voiced publically in response to CU’s decision with respect to Williams’ contract has been focused solely on his espousal of Calvinism. This has been publically suggested as the sole reason for William’s contract not being renewed. It must be noted that the school has made no such suggestion. Here is what has happened. A vocal segment of the KBC and beyond has made this an issue because of Williams’ position on Calvinism. This is an effort of a vocal minority to send a message to colleges and universities that are associated with SBC and its affiliated state conventions that such dismissals are not going to be taken lightly. The accountability issue here has very little to do with the churches but rather everything to do with the vocal proponents of Calvinism and its revival of popularity in the educational system in Southern Baptist schools. It is time for the SBC to deal with the issue of Calvinism and the ramifications of its continued revival of influence in the entities of the SBC. It is clear that those espousing and promoting Calvinism in the SBC are intent on protecting their hard earned positions of influence at all costs. It is time to move this discussion into the open arena and come to some conclusions with respect to the future of the SBC and the state conventions as well the churches they serve. Go back to Miller’s comment with respect to Dr. Williams’ credentials, Miller says that Williams is “by all accounts a bright young scholar, one who teaches (and believes) in line with the BF&M 2000.” There is one group in the SBC that continually makes reference to being in agreement with the BF&M2000; it has become the battle cry of Calvinist Baptists, especially the New Calvinists almost exclusively. It is time for Southern Baptists to clarify themselves on this issue. Calvinists believe that it is God and God alone who decides who gets saved and who does not. They believe God and God alone decides who will spend eternity in heaven and who will not. They believe a person is born again just like a person is born physically; the individual has nothing to do with the process. When you were born, the doctor popped your rear end and you took your first breath and you were born alive. When you were born again, God did it all once again; you automatically became a child of His and because He chose you, you chose Him. Welcome to the family of God. It does seem to be a stretch to associate this kind of theology with the BF&M2000 but that is now the case for the New Calvinists. If Southern Baptists want this kind of theology being taught in its schools and being foremost in its new church starts and being the theological flavor of the hour in the literature at Lifeway, then so be it. As Dr. Allen has suggested, “every institution in one way or another serves or is accountable to the church, be it a seminary or a state college, should assume a posture of deference and welcomed accountability.” The time has come for the church to stand up and ask the tough questions to the entities of the SBC and the various state conventions concerning the continued influence of Calvinism in its entities and in the respective conventions. As Allen suggests, we have a responsibility to past generations and to our future generations that will be influenced and impacted by the ministries of the entities that have been given the trust to lead our convention’s effectiveness to the generations to come. A second observation. One should not miss the praise being given to Dr. Chitwood and his involvement in this situation in contrast to Dr. David Hankins’ involvement in what Miller calls the Louisiana College “fiasco.” Hankins is the Executive Director of the Louisiana Baptist Convention. Both seem to be equally involved as each seeks to serve the church’s interests in helping to bring some kind of resolution to the various situations. Both situations share a common issue; both are being criticized by the same group for the same reason. One state director is being praised for his involvement while the other is being heavily criticized for his by the same group. One is more sympathetic to and supportive of the Calvinist position than the other. It is time for resolution. This battle is not going to go away. All indications point to a heightened intensity as Calvinists continue to voice their disapproval for anyone that dares make a move against one of their own. May God help the SBC though these very troubling days that definitely lay ahead. 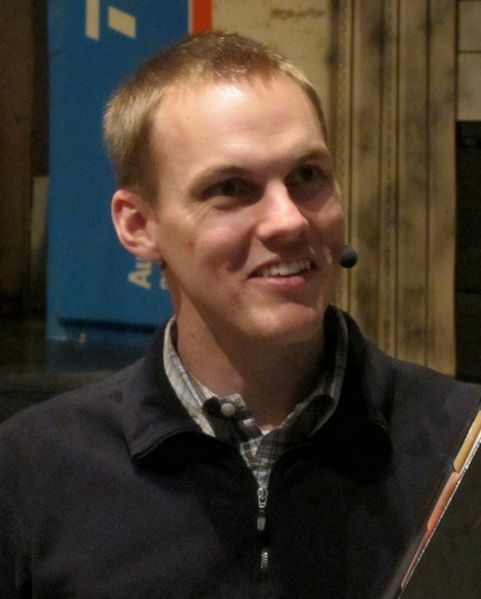 Dr. David Platt’s name was on the program to address the 2012 Pastor’s Conference. I have Dr. Platt’s book, Radical and found it to be very inspiring and especially challenging as he talks about the importance of being radical for Jesus in our part of the world that is dying and headed for a devil’s hell. I do need to transform the way I live so that the world will see the Good News that Jesus came to bring to us all! I have also listened to the video clip of his message at the Verge Conference where he talked about the misuse and irresponsible use of “the sinner’s prayer.” I understand that it is very easy to be overly critical of things people say because of comments they may have made in the past and because of comments made by other people or groups they may be closely associated with. It is easy to read too much into some statements. I am very much aware of that tendency. However, when I listened to Dr. Platt blast “inviting Jesus into your heart” I was certainly taken back. To assert that this practice is unbiblical was in fact, incorrect. To suggest that it is a superstitious practice is insulting and that it is in fact damning was simply inexcusable. While much of Dr. Platt’s message may have had merit, it is interesting that this 3 minute clip was what was chosen to encourage people to order the digital version of his message in its entirety. Needless to say, I did not do so. Had Dr. Platt’s comments been made apart from the theological implications surrounding this new emphasis on “The Gospel” and getting the gospel right, and this revival of Calvinism in the SBC and its effort to correct decades of incorrect theological foundations being taught in the church today, Dr. Platt’s words might have gone unnoticed. However, when you factor in the controversy over Calvinism that is growing by the minute in the SBC and the reluctance of some to the theological differences posited in the varying soteriological positions now being promoted, his statement was especially significant and I believe deliberately stated. With that in mind, I reluctantly decided to go and sit down to listen to David Platt’s message to the 2012 Pastor’s Conference. His second paragraph referenced his comments in the popular 3 minute internet video clip and his effort to be more deliberate. I thought, ok; let’s see what he has to say and as he goes to a very familiar text, John 3, prefaced by the last 3 verses of John 2. Let us beware the danger of spiritual deception. Verse 23 – “Many trusted in his name.” Verse 24 – “Jesus, however, would not entrust himself to them.” Many trusted. Many people in John 2 believed in Jesus, but Jesus did not believe them. Many people in John 2 accepted Jesus, but Jesus did not accept them. Clearly, from the beginning of the gospel of John—this gospel that revolves around the necessity and centrality of belief in Christ—John makes clear to us that there is a kind of belief, a kind of faith, that does not save. It was at this point that I decided to get up and leave the conference center. This is all I heard of Dr. Platt’s message to the pastors that afternoon. “Many people in John 2 accepted Jesus, but Jesus did not accept them.” This reverberated in my mind and given the reluctance to even bother sitting down in the first place, I admit, I simply decided to exit instead of sitting through the remainder of his message. I have since coming home, read Dr. Platt’s message in its entirety and my comments will come from the manuscript provided of that message. You may read his message in its entirety by CLICKING HERE. Platt indicates that John employed the 3 verses of chapter 2 to intentionally set the stage for Nicodemus’ encounter with Jesus. It is true that Nicodemus’ statement is similar to the statement in chapter 2 in that there is a common reference to the signs that Jesus had done; but understand something; everyone, those who were on the street as well as those in the Sanhedrin were talking about Jesus. So, while there are similarities in the two statements, the former does not necessarily set the stage for the latter as Platt attempts to assert in the opening part of his message. Let’s look at the second chapter in John. Apparently the wedding feast at Cana was just before the Passover celebration in Jerusalem and Jesus went. His popularity had begun to spread. There was excitement in the air. People knew about Jesus even though they may have never actually seen Him or heard Him speak. Rumors began to spread that He could be the long awaited Messiah. He went into the Temple and ran the money changers out. “So the Jews answered and said to Him, “What sign do You show to us, since You do these things?” (John 2:18) Everyone heard what had happened! John does not say Jesus rejected their faith. We can debate the interpretation of John’s statement here concerning Jesus’ response to those who believed in His Name but one thing is crystal clear to me; John does not say Jesus rejected their faith. John says, Jesus did not commit Himself to them. I believe John is simply noting Jesus’ reluctance to let this outbreak become an influential event at the Passover celebration which could lead to a public promotion of Him as the Messiah! John simply says Jesus knew their thoughts; He knew once again, His hour had still not yet come. I see this reluctance on Jesus’ part as being similar to His telling people on a number of occasions, to go and tell no one about the miracles He had just performed. So Jesus looks back at Nicodemus and says, “Your belief, your trust is insufficient for salvation. “You must be born again” (John 3:7). This is shocking. Here is a devout, passionate, respected, law-following, God-fearing man. He has devoted his entire life to entering the kingdom of heaven. He prays to God. He studies God’s Word—he teaches it and he lives it. And he does all of this in an effort to honor God. Yet Jesus says he has no spiritual life in him whatsoever. This man of faith who believed in Jesus was dead in sin, and at that moment he was destined for condemnation. That is frightening. It is frightening in John 2-3 to see people who would have thought that they believed in Jesus and said that they believed in Jesus, people who would have thought that they were entering the kingdom of heaven, but they had no spiritual life in them, and they would not enter the kingdom of heaven. Now, there is a serious hermeneutical problem with the following statement that Platt makes; “This man of faith who believed in Jesus was dead in sin and at that moment he was destined for condemnation.” Nicodemus was not saved. He was not a believer in Jesus.Platt is correct in saying that he is dead in his trespass and sin but he in serious error when he suggests that Jesus is rejecting Nicodemus as a believer in His Name. Platt completely steps out of bounds in this statement to try to justify the theme and thrust of his message. Here Platt gets on track and he is absolutely correct. He accurately quotes Matthew 7:22-12. However, he immediately gets off-track in his next statement. John 3 is not speaking of people who are deluded into thinking they are saved when they are not. Matthew 7 does, but not John 3. Dr. Platt has simply erred in his effort to flesh out the text. Dr. Platt changes direction in his message to speak of the beliefs and lifestyles of those who consider themselves to be “born-again Christians.” His message here is on track and dead on. I will point out that he is speaking of people in general and not those in the SBC specifically. That distinction being made, the condition of those confessing to be “born again in the SBC” will not fare much better. The distinction however, must still be noted. Here is what is especially interesting. Dr. Platt moves from the wayward “born-again” condition to the use of a “sinner’s prayer” that he was so critical of just a short time ago. Dr. Platt has meticulously set the stage to justify his position on the misuse of “inviting Jesus into ones heart.” Dr. Platt offers the testimonies of two of his church members who as youngsters prayed a sinner’s prayer only to come to the realization later in life that they in fact had not really been saved and following a more accurate presentation of the gospel they were truly saved and now were on fire for the Lord and doing great things for Him. Well, I am sorry but the fact that these individuals were still in the race may well indicate that they were actually saved in the beginning; they have simply persevered as the 5th tenet of Calvinism contends. Who is Dr. Platt to determine who was or was not saved at an early age, simply because someone later in life came to question their original decision to trust Christ; especially when the preaching they are sitting under questions the validity of those earlier decisions in the first place. No one would disagree with this statement however, it would be prudent to remember conversion is the beginning point; not the final destination. No one becomes a Christian understanding the full ramifications of a relationship with Christ that is to grow and mature. So this criticism of what is and what is not “Biblical faith” has a lot of implications. There is no question that there is an attitude of “easy believism” that creates casual or cultural Christians or what Paul calls carnal Christians. Platt concludes that these are not “true Christians.” He says these folks are “Christians who do not know Christ, who have never counted the cost of following Christ; we must be biblically clear about saving faith, lest any of us lead people down a very dangerous and potentially damning road of spiritual deception.” Platt demonstrates his determination to continue his original position that the sinner’s prayer is dangerous and damning. Platt then goes back to his original thesis of trying to tie John 2 to John 3. He says, ““What is the difference, then, between spurious faith that marked the crowds in John 2, and saving faith according to Christ in John 3?” What is the difference between false, superficial faith, and true, saving faith?” As I have already pointed out, I am not sold on the correlation that Platt has attempted to build between the references to “believing” in these two chapters and I am confident Platt’s insinuation of Jesus’ rejection of the two types of believing is completely baseless. Platt is correct that we need in our preaching and sharing of the gospel to point out man’s problem with sin and his inability to do anything about it. This is absolutely essential in the presentation of the gospel message. I might also point out, the sinner’s prayer itself is always a response to a message and is virtually never the message itself and that is a point that is skimmed over in most of these discussions related to its use or misuse. “This is man’s problem, and we must make it clear. Our problem is not that we’ve messed up a few times. Our problem is not that that we’ve made some bad decisions. Our problem is that we are dead in sin. So what can save us from this state – raise your hand, say these words, sign this card, walk this aisle? We all know that none of these things can save us. What we don’t need is superficial religion; we need supernatural regeneration. We are dead in sin, and we need to be born again. So how can a man be born again? Scripture resounds with a clear answer to that question. Two primary words: repent and believe.” Repent and believe. If this is the appeal at the end of a gospel filled message, then whether or not one calls it a sinner’s prayer or invitational evangelism, I am all for it and I will continue to employ it until the Holy Spirit tells me different! I will continue to till the ground, plant the seed, water and weed the ground and leave the results up to the Father!